Nearly 40 aspiring educators from the Webster University School of Education recently gathered in the East Academic Building for the annual Teacher Recruitment Day. 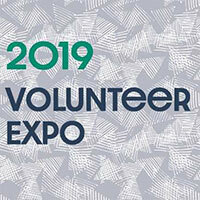 At the event, students interviewed and networked with representatives from 17 school district partners from the St. Louis metropolitan area, including neighboring school districts Webster Groves School District and Kirkwood School District. The Career Planning and Development Center concluded the fall semester On Campus Recruiting Program with information tables hosted by local employers. 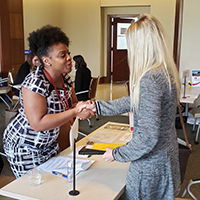 Students had the opportunity to chat with local recruiters and gather information about St. Louis-area employers at information tables in the University Center Commons and Edward Jones Commons area in the East Academic Building. 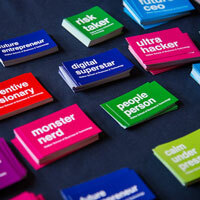 The organizations promoted seasonal, part-time, flexible, summer and entry-level opportunities. The Career Planning and Development Center (CPDC) has developed a resource to aid Webster University's military-affiliated student and alumni communities in navigating their transition into a civilian career. This resource is a one of several that the CPDC has developed for targeted student communities. 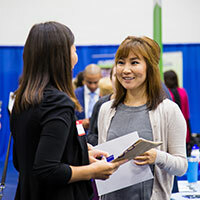 The Career Planning and Development Center welcomed nearly 60 employers to the annual Webster University Career and Internship Fair on Wednesday, Oct. 10. Both students and alumni were invited to invited to attend the fair that was held in Grant's Gymnasium. 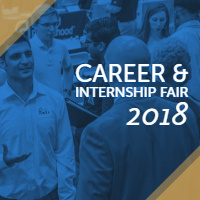 National and international employers are coming to campus, eager to meet the qualified, diverse and globally educated students and alumni of Webster University on Oct. 10 when the Career Planning and Development Center hosts the annual Career and Internship Fair in Grant Gym on the Webster Groves campus. Representatives from over 70 businesses will be on hand to meet with current students and alumni. The Career Planning and Development Center (CPDC) is excited to introduce a new resume drop-off service for currently enrolled Webster University students. In-person or through e-mail, students can drop their resume off at the CPDC and receive feedback via e-mail within a week by a member of the CPDC team. Geneva's Oreste Foppiani participated in and spoke at the “SOS Rule of Law” side-event at the 38th Session of the U.N. Council of Human Rights. ... The School of Education's DJ Kaiser presented at the 16th annual Asia TEFL International Conference in Macau SAR, China. ... Zlatko Cosic's films are screening at festivals in St. Louis, Chicago, and Varna, Bulgaria, this month. ... NACE featured a diversity recruiting video produced by John Link and Trezette Dixon of Webster's CPDC. 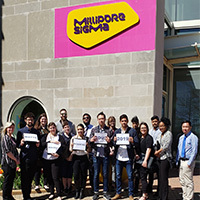 The Career Planning and Development Center is excited to offer Webster University students and alumni an easier way to keep track of their career planning through Handshake, the ultimate career network that brings together students, alumni and employers and strengthens student engagement. Launching at Webster in July, Handshake is a robust career platform designed by students to help them build meaningful careers. John Link has been named director of the Career Planning and Development Center (CDPC) effective June 16, 2018. 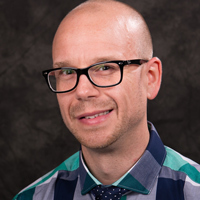 Link has been serving Webster University and the CPDC for the past three years in assistant director and interim director roles. 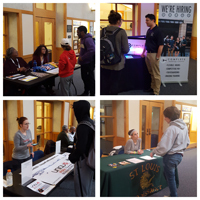 The Career Planning and Development Center concluded their spring On Campus Recruiting Program with information tables in the University Center Commons hosted by local employers, with whom students could chat about St. Louis-area employment opportunities. Students can continue to connect with employers and view available opportunities by signing in to Gorlok Career Link, Webster University’s online recruiting system. Winning Approaches for Talented Transfers in STEM (WATTS) Scholarship recipients met with scientists and heard career advice as part of a Career Development Tour coordinated by the Career Planning and Development Center. 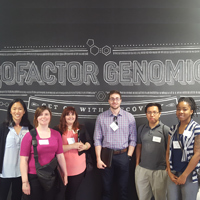 Accompanied by Mary Preuss, associate professor and chair of Biological Sciences, Julie McHugh, program director, and Trezette Dixon, assistant director, Employer Relations, the students heard about a variety of science career paths while visiting with Doisy College of Health Sciences and touring Cofactor Genomics. The Career Planning and Development Center is offering the opportunity for 10 undergraduate students to receive a practicum/internship travel grant for summer 2018 practicums/internships. The application deadline is April 20.